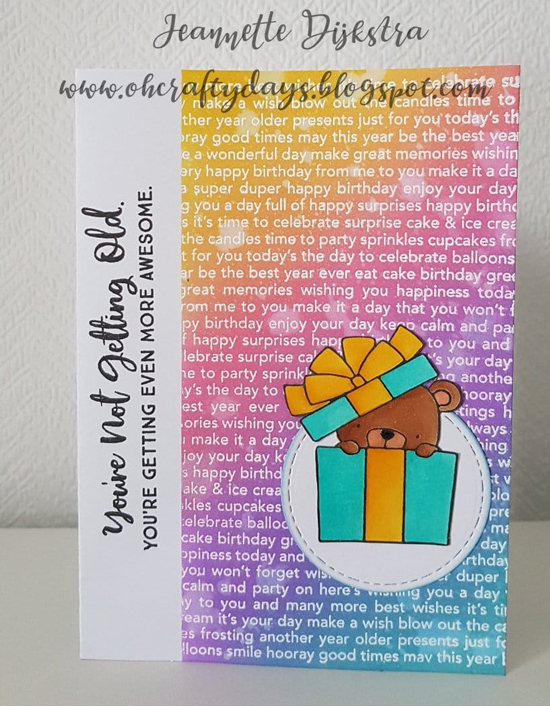 Jeannette created a colorful birthday-themed card by embossing her background design and then adding a rainbow assortment of ink colors over the top. We love how she added her sentiment to the side of the card on a white strip of card stock to really help it stand out on the design. A subtle background created with ink blending is a great way to add interest to a card without taking away from the focal element. 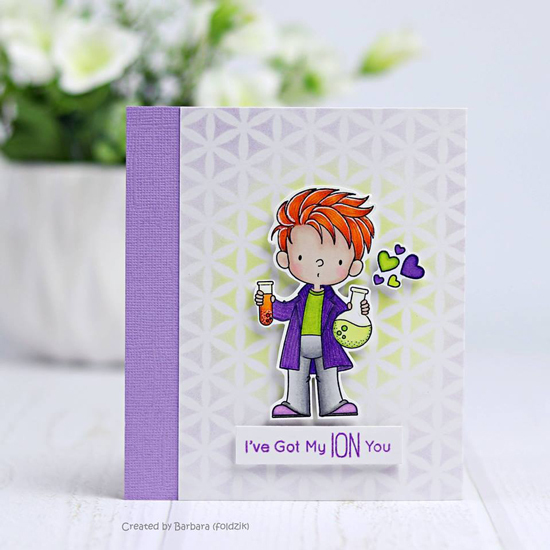 Barbara went with a lighter version of the same colors that she featured on her colored image to add a cohesive look to her design. 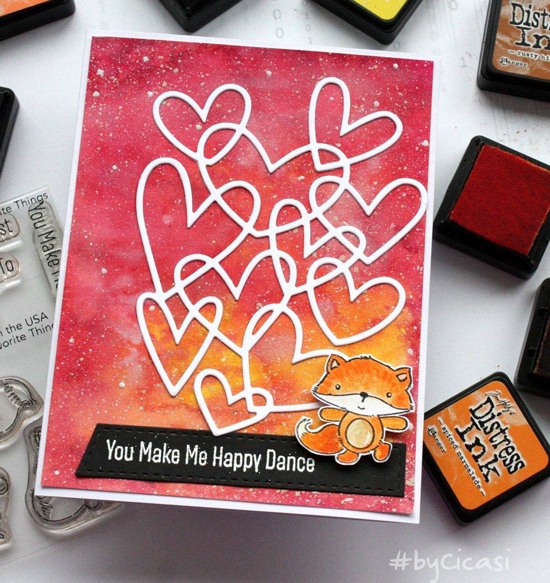 We adore this simple card design by Sunny featuring the new Joyful Heart Bears stamp set. 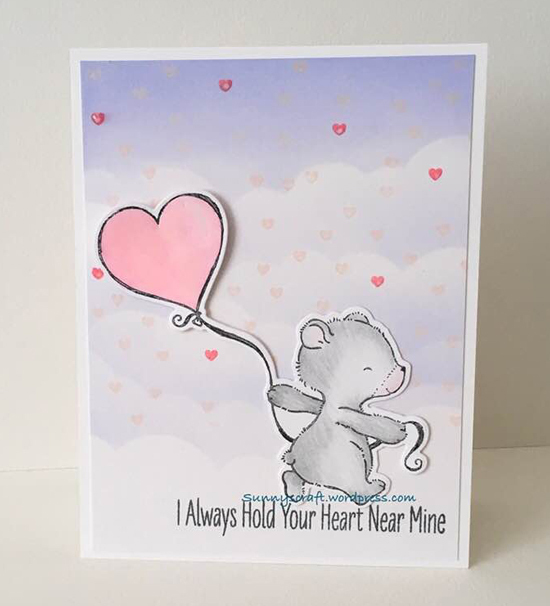 The softly blended clouds in the background with the addition of the tiny hearts are a perfect complement to her adorable stamped bear image. Another great way to add interest to the backdrop on a card design is to repeatedly stamp an image like Chris did on her scalloped panel. 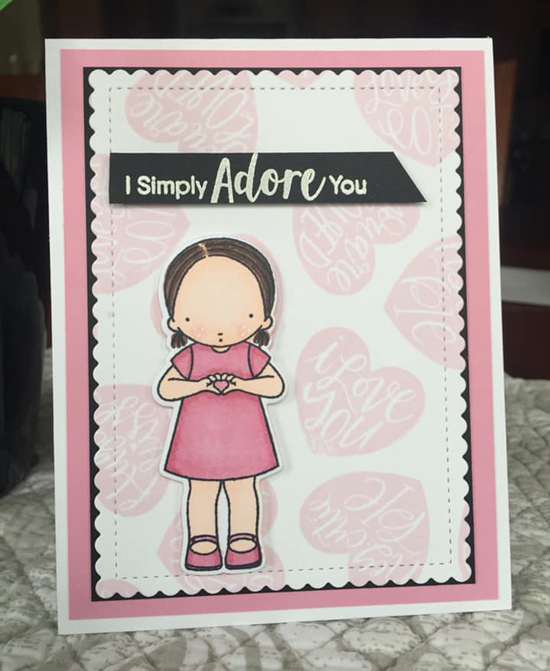 Using lighter colors helps to keep the stamping in the background, so her charming Pure Innocence character remains the highlight on her sweet love-themed card. While the rest of the cards today featured subtle background designs, Beatrix went with a bold color combination on hers that pairs nicely with her stamped image. Using similar colors provides a united look on her card while the white die cut hearts add a bit of contrast. Thank You so much fro spotting my card! 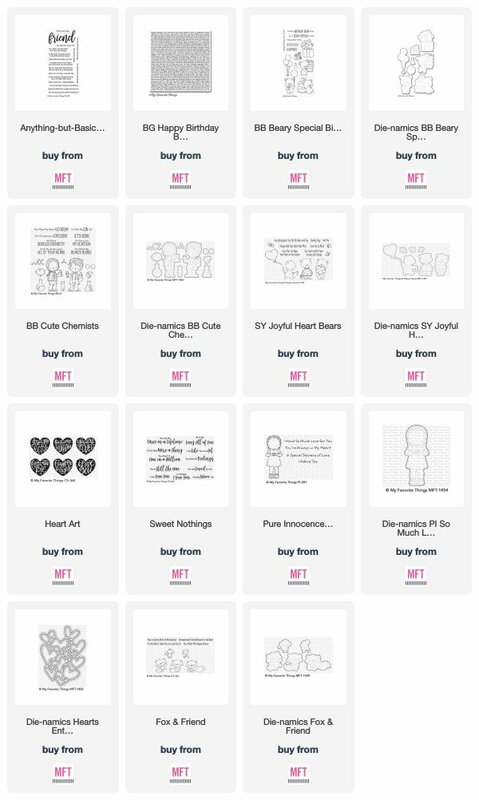 I love to create with your awesome, inspirational products!